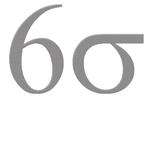 Six Sigma is a real boon to companies in all industries, and it has proven this fact on many occasions. That’s because the Six Sigma methodology can work wonders when it comes to improving the quality of products and services by eliminating the defects encountered in any particular business process. However, while adopting the Six Sigma methodology , it is important to take some precautions when it comes to ensuring the success of the implementation. It is important for organizations to adopt only those projects that are handled by a qualified Six Sigma implementation team. By using a specialized Six Sigma implementation team, companies can be assured that the implementation is heading the right way. If the company is not successful in choosing the right implementation team, the Six Sigma implementation will remain nothing but an idea (i.e., the implementation process itself wouldn’t materialize). Therefore, in order to gain the maximum out of the Six Sigma methodology, it is important that the company selects the right team for the job. However, it is not all that easy – because, the selection criteria for implementation teams will vary according to specific projects. No company wants to choose the wrong team for any project; if that were to happen, it would simply result to the failure of the entire project. In this case, even the skills of the team won’t matter, no matter how good they are. Any mismatch in this respect would mean a recipe for disaster. In order to get the maximum benefits from the implementation team, it is important that companies consider the strength of the entire team as a whole instead of simply looking at individual skills. These improvement techniques are basically those processes in which improvement can be brought about simply with the help of diagrams and other visual tools. Common sense and practicality forms the main skills required for these projects; therefore, it is important that the team is selected based on these parameters. One of the main features of these projects is that they are highly dependent on statistics and other relevant data. Therefore, it is important that the members of the team have complete knowledge of how the lean manufacturing methodology works and how to go on about implementing the project after integrating the lean process into the Six Sigma system. Lean training is absolutely essential in this respect so that the team members can guarantee the effectiveness of the project. Now, these projects have to be handled with utmost care because they are aimed at providing with a near zero defect rate. In order to ensure the success of these projects, it is important that they are implemented by the Green Belts – under the proper guidance and training of the Black Belts and the Master Black Belts, of course. There are many more implementation projects, but the ones specified above form the three major projects. Once the projects are classified into their types, it will be easier to delegate the implementation work to the respective teams.